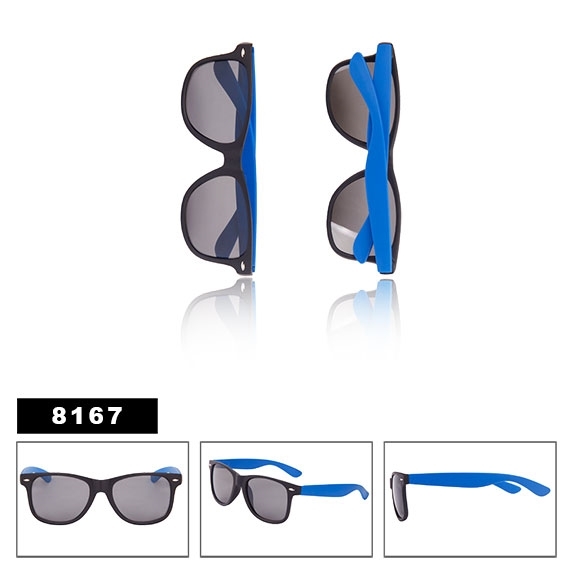 California Classics sunglasses with blue frame arms and matte black frame fronts! 12 pair in this color come with free display box only $21. This model also has spring hinge temples!